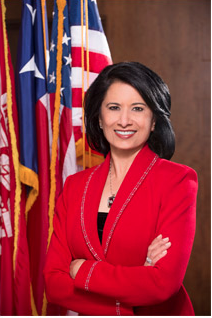 First and foremost, the University of Houston family is one that rolls up its sleeves and helps each other. I have never seen this spirit of support more alive than over these last few days as Hurricane Harvey has touched down in our greater community. It has been overwhelming, frightening and unprecedented – but it also is bringing out the best in our community at every level, and that is truly inspiring and motivating. Cougars helping Cougars is at the heart of this most challenging time. “UH Cougar Emergency Fund” (indicate that it is for “Harvey Relief”): donations to this fund will be utilized to provide comfort and ease to UH students who find themselves with hardship as a result of the storm. Visit UH Cougar Emergency Fund to make your gift. 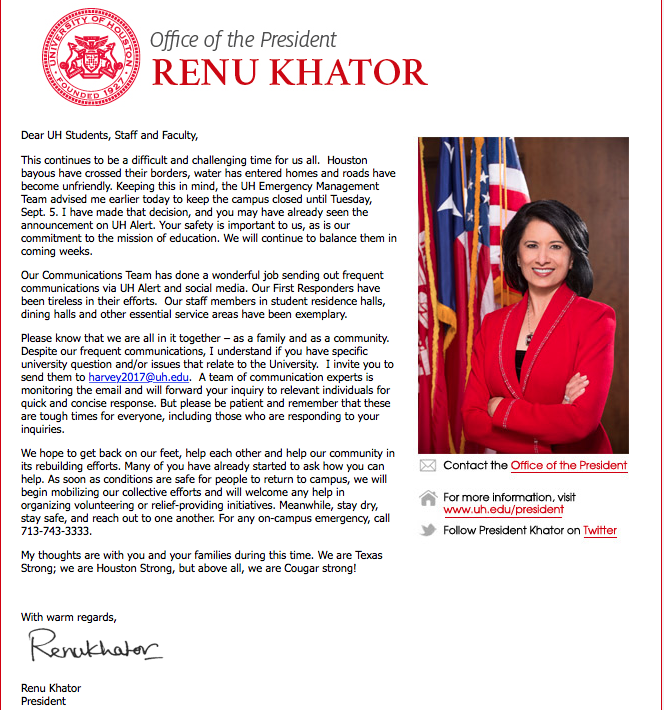 Below is a message I sent to UH students, staff and faculty earlier this week, which I wanted to share with you. My thoughts are with you and your families during this time. We are Texas Strong; we are Houston Strong, and, above all, we are Cougar Strong!